Dr. Sepahdari provides a rich background in multi-modality imaging and radiology education. 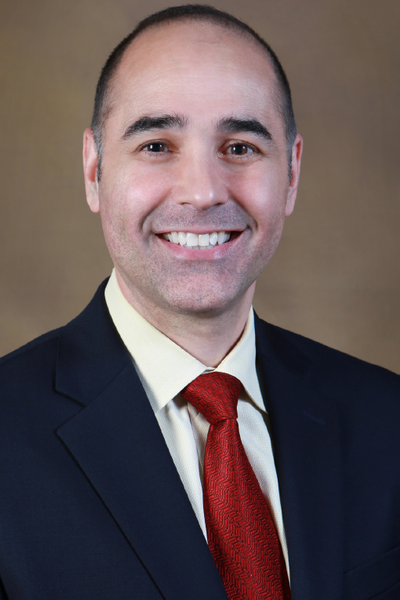 He is fellowship-trained in MRI and Body Imaging from Rush University and Medical Center and served as Associate Program Director for the University of Illinois Diagnostic Radiology Residency. Before joining us in 2018, he served as President of his corporation and Chair of the Department of Radiology at a historic teaching hospital in Chicago. In addition to managing a robust practice, he has taught and lectured for over a decade, mentoring nearly one hundred residency graduates, and receiving the Outstanding Teacher of the Year Award on multiple occasions. He is board certified by the American Board of Radiology. Gunasekaran S, Goettl C, Patel D, Sepahdari AK, Yang L. The added value and cost savings of Q-SPECT/CT over planar V/Q for the evaluation of pulmonary embolus- charting outcomes of a four-year experience. Submitted to Academic Radiology. Patel DC, Huang YH, Meyer J, and Sepahdari A. Abdominal-pelvic scanning parameters revisited: A case for Z-axis reduction in patients with right lower quadrant pain. Emergency Radiology 2017 Dec; 24(6):661-666. Also presented as a poster at the American College of Radiology 2015 and as the section winning poster at Chicago Radiological Society in January 2017. Patel D, and Sepahdari AK. Diazatroate induced acute renal failure following lower GI examination and subsequent colonoscopic biopsy. Radiography 2017; 23: e20-e22. Prasad K, and Sepahdari AK. Improving clinical efficiency and patient access to care through process standardization and back-office workflow software development in a busy outpatient interventional center. – Presented at the Society for Imaging Informatics 2014. Merkel FK, Hois EL, Hibbeln JF, Schreiner VC, and Sepahdari AK. Successful transplant of a pediatric cadaveric cross-fused kidney to an adult recipient. Pediatric Transplantation 9:61, 2005. Merkel FK, Hois EL, Gallucci M, Hibbeln JF, and Sepahdari AK. Successful resection of a de novo renal cell cardinoma occurring long after transplant of a pediatric cadaver kidney to an adult recipient. Pediatric Transplantation 9: 104, 2005.